Open 7 Days a week - extended hours! Hand and Stone Massage and Facial Spa is proud to offer expert massage services for a number of different massage types. Learn more about each type of massage we offer and how we can help alleviate certain areas of discomfort. Whether you just need a day of rejuvenation from everyday stresses or have a specific problem or pain that can be alleviated with massage, our expert therapists will have you feeling better. Getting a massage, a facial, or both on a regular basis is one of the healthiest things you can do for yourself. 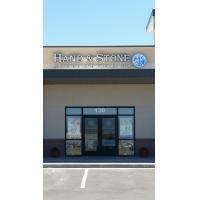 At Hand and Stone, our Healthy Lifestyle Program is easy and affordable. For just one low price each month, you’ll enjoy your choice of a One Hour Massage or a Signature Facial. Enjoy additional services throughout the month at our low member rates including gift card purchases for family and friends (some restrictions apply see spa for details). Plus, you’ll be automatically enrolled in our nationwide Member’s Rewards program – where you will earn points for simply doing what you love. Hand and Stone Lifestyle Members pay on average one third less for massage and facial services as compared to non-members. Our simplest and most popular program is our Month to Month Membership. We also offer monthly term and prepaid membership programs. 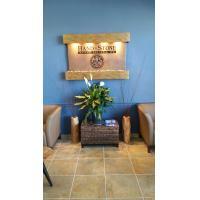 All memberships are honored nationwide at any Hand & Stone location.